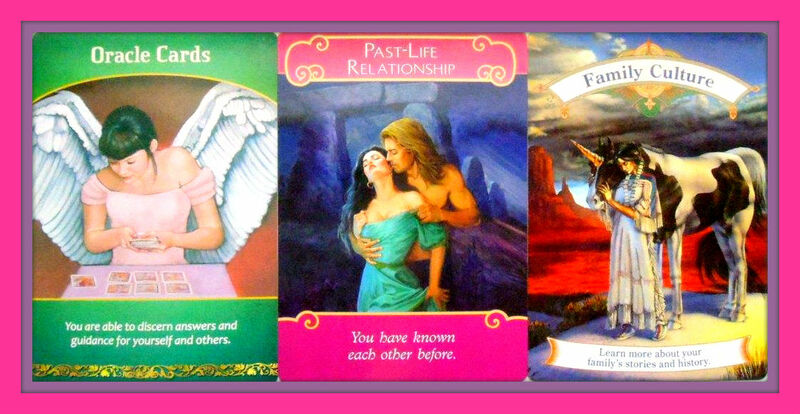 You may benefit from giving or receiving Oracle Card readings. They speak to you as whispers from the Angels. Perhaps this reading is helpful to you and validation for you to start reading for yourself and/or others. It is a positive tool to use for receiving guidance. Follow your guidance and see where it leads you. A personal reading may also be extremely helpful for you right now. If you are currently involved with someone, you may have been together in previous lives, and have some healing or work to do together. Soul mates present powerful opportunities for growth and lessons. Soul mates are not necessarily romantic, and we each have many. If you are wanting a romantic relationship, there may be some past issues and patterns that need to be healed first before you can attract a great love into your life. Many of your past issues and patterns have to do with your family of origin. Pay attention to what comes up and needs to be healed. Is there someone or something you need to forgive? Now is the time. As you heal in the present, the past and future are healed simultaneously.